Hellon hotel is family-run establishmen with family character so that guests will stay in pleasant atmosphere and will feel like at home. 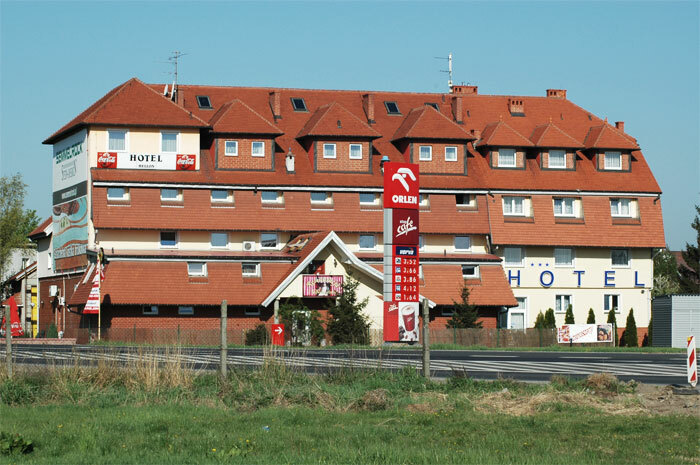 Hellon Hotel is located just 20 km from Wroclaw in Sroda Slaska. Reception is open 24 hours a day. The reception area features a gift shop with cosmetics and beverages. The hotel offers guests apartments, rooms 1 and 2 cars. The hotel has a total 90 beds. All rooms are en suite with satellite TV and free mobile Internet access. Large comfortable well-lit parking for trucks and buses is free and closed at 24.00. In the morning guests will enjoy a delicious breakfast buffet. Napoleon restaurant with a bar and a garden is open from 14.00 to 22.00. Guests also have the option of ordering food to the rooms. 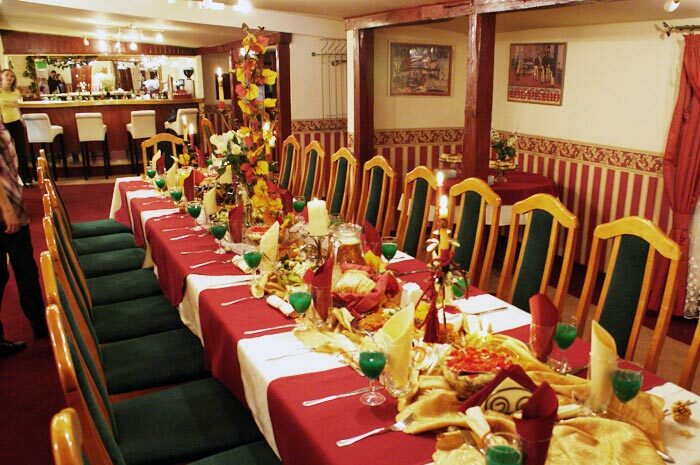 The restaurant offers delicious dishes of Polish and international cuisine. 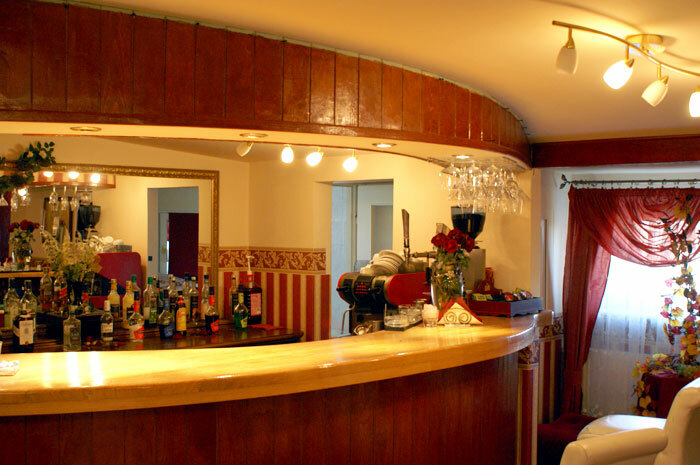 The drink bar, guests will enjoy a wide selection of alcoholic and non-alcoholic beverages. For the purpose of business the hotel offers crystal conference room accommodate 180 people. Beautifully decorated room decorated with crystal mirrors and paintings in gold frames is a wonderful setting for any conference. The hotel organizes outdoor events and offers catering services. 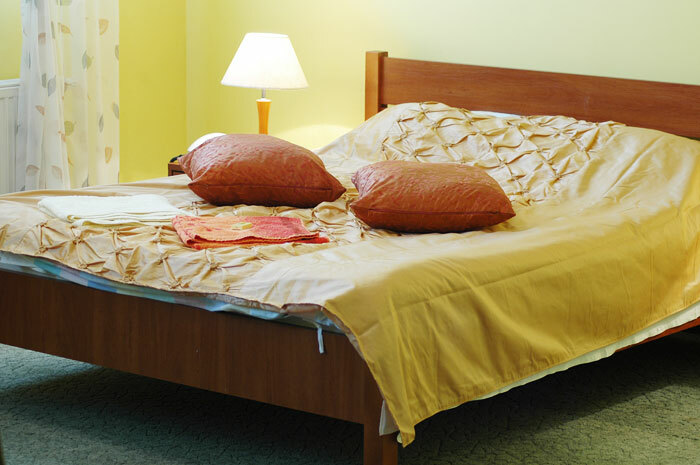 Hotel Hellon is located 20 km from Wroclaw, at the road 94 Wroclaw - Zielona Gora.